From managing siloed data across departments to getting quality customer insights, it can be near-impossible to deliver the personalized experiences that today’s customers expect. 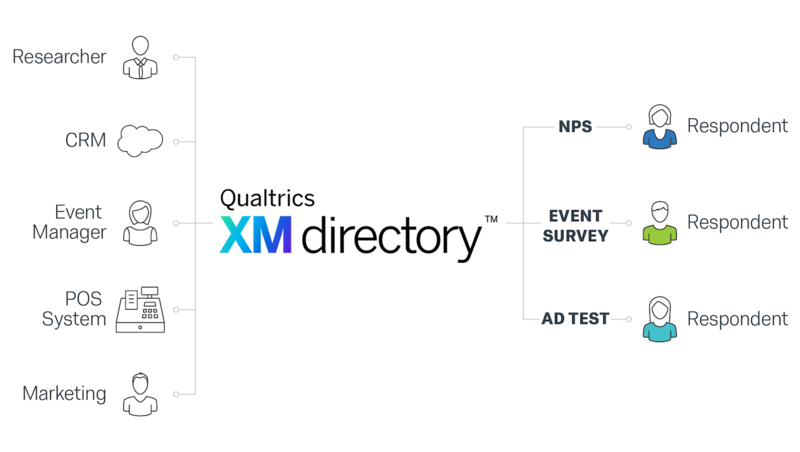 XM Directory is a single system of record that combines and maintains all your operational and experience data, helping you build rich customer profiles, track customer journeys, and conduct more sophisticated research. With a person-centric view, you can automatically deliver more personalized experiences at scale to increase satisfaction and loyalty. Target your outreach and make sure it reaches the right people at the right time. With advanced controls you can be confident that you’re reaching the right segment and not over surveying, ensuring high engagement rates and satisfaction. You can even set up multiple directories so different groups within the organization can maintain independent controls or partition their contacts for data sovereignty requirements. XM Directory helps you build rich profiles and segments by combining customer preferences and interactions with their operational and experience data --bringing together the why, behind the what. Target customers and research participants with precision, leading to higher quality insights you can trust. Manage every customer touchpoint through XM Directory’s experience timeline. In one view, you’ll see every experience they’ve ever had with your company, including transactions, invitations, and feedback, so it’s easy to understand how the customer feels and the sentiment behind the data. 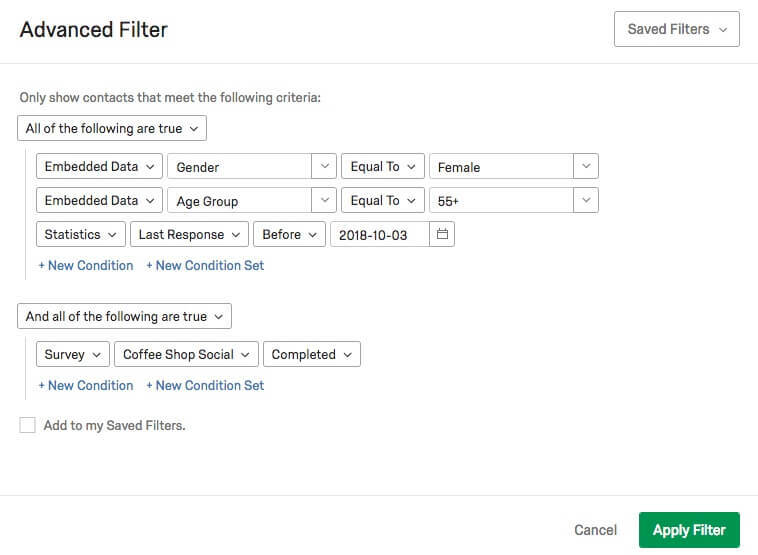 You can also analyze trends over time and know your next step with the customer. Plus, with APIs into your existing systems, such as point-of-sale terminals and receipt surveys, you can combine their experiences and their activities in one easy-to-use platform. 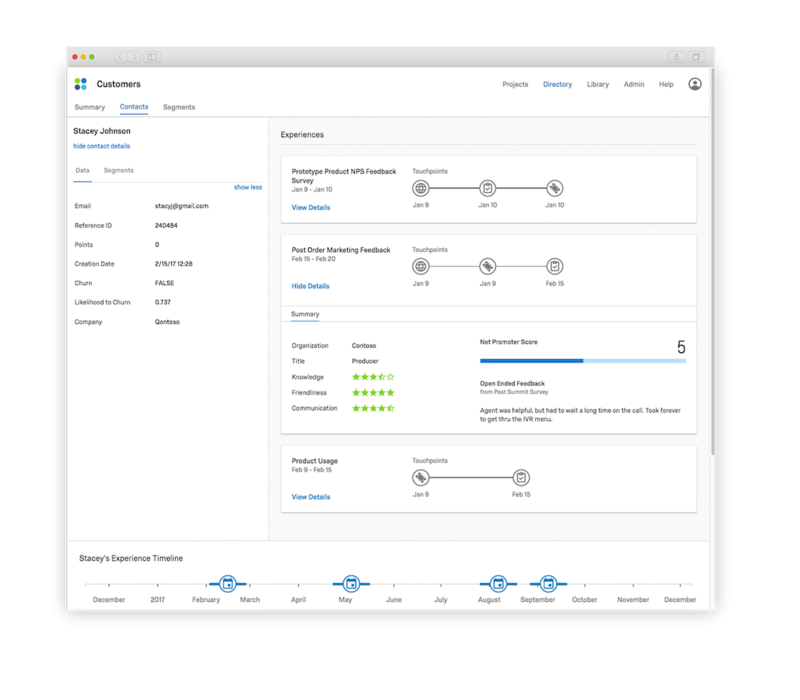 Qualtrics XM Directory is your air traffic control for research projects - helping you easily build, manage and engage your research panels. 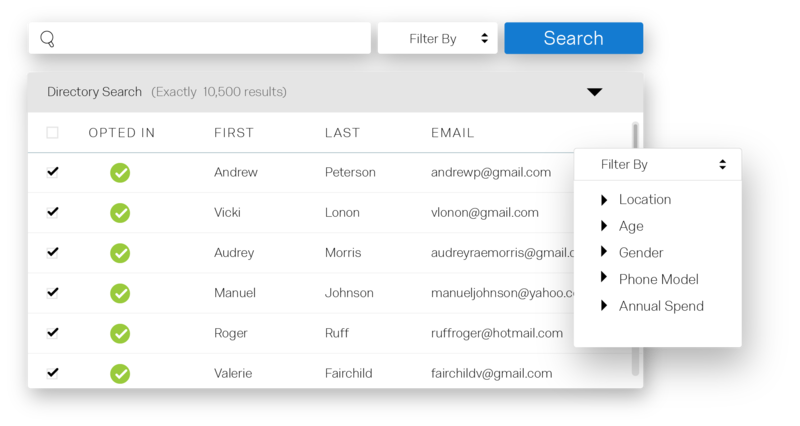 Gone are the days of data silos, multiple spreadsheets, and exporting contacts from your CRM. Qualtrics iQ is your single source of truth for your research, accelerating your speed to high quality insights.